Welcome to our Parents’ Portal. The Portal is a secure area online that brings together teachers and parents. 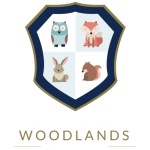 Please use the Portal to access a detailed term calendar, weekly reviews, a look forward to the week ahead, and updates on day-to-day life at Westville and Westville Woodlands.